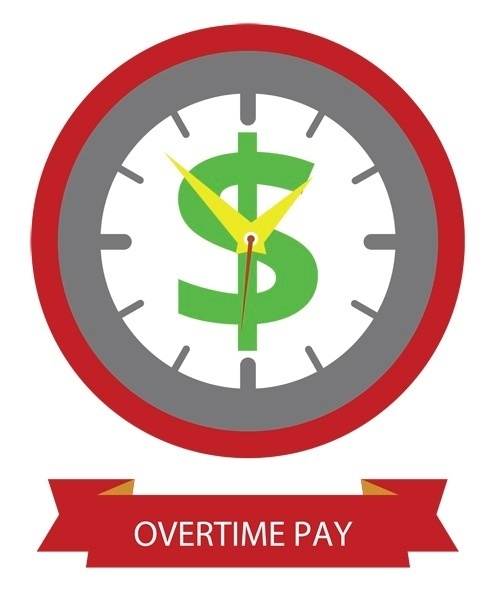 Today (and since 2004) salaried employees who earn at least $455 per week aren't eligible for overtime pay under the Fair Labor Standards Act, if their job duties are executive, administrative or professional (EAP) in nature. That's true no matter how many hours these employees work in a week. Under proposed regulations, the limit would rise to $679 in 2020. So, salaried employees earning up to around $35,308 annually would be overtime-eligible even if they fall into those EAP job roles as defined by the Department of Labor (DOL). Although the jump in the threshold is substantial, it's not nearly as high as the $913 weekly pay threshold set in an earlier version of the proposed regulations. If that version — which was blocked by a federal judge — had passed, it would've been much more costly to employers. The other significant change in the newly re-proposed regulations would raise the threshold for "highly compensated employee" (HCE) status from a $100,000 annual salary to $147,414. HCEs aren't eligible for overtime, even if they don't fall under the EAP job categories. In other words, if that new higher HCE threshold takes effect next year, a non-management employee earning, for example, $146,000, could still be eligible for overtime pay after logging more than 40 hours of work in a week. Chances are, you don't have many (or any) employees earning that kind of money who don't meet the EAP test. Even so, you may need to take a close look at your higher paid employees' job duties to be sure you don't inadvertently neglect to meet the regulations' requirements next year. An employer who wishes to avoid paying overtime needs to pay at least the $35,308 threshold. However, a wrinkle in existing regulations that was preserved in the new proposal allows you to pay only 90% of the salary threshold ($31,778) to employees who are also eligible for a "non-discretionary" bonus. Assuming the bonus is earned, it must be sufficient to carry them over the $35,308 annual income level. A non-discretionary bonus (or commission) is one awarded based on an employee's objective performance against concrete goals, such as profitability or productivity levels. That works out to eligibility for a bonus of at least $3,531. If it turns out that, by the end of the year, the employee doesn't earn the full bonus and misses the $35,308 threshold, the employer can make up the difference in the following pay period. Under the 2016 version of the proposed regulations, the compensation thresholds would have risen regularly based on a cost of living index. That provision isn't included in the latest version, which indicates only that the DOL would periodically update thresholds using an amendment process (including public input). Non-management employees in maintenance, construction and similar occupations such as carpenters, electricians, mechanics, plumbers, iron workers, craftsmen, operating engineers and longshoremen. So, what's the bottom line for employers, assuming the regulations are finalized as proposed? The DOL estimates that "average annualized [additional] employer costs" over the next decade will be $120.5 million. Your share of that estimated cost will depend on what steps, if any, you take to mitigate the impact. For example, if you have employees who are now earning close to $35,308 annually and who would become newly eligible for overtime pay, you might come out by raising their compensation above the $35,308 threshold. Doing so would eliminate eligibility for overtime pay (assuming their jobs qualify for overtime based on the EAP test). Alternatively, you can take steps to minimize overtime work by previously exempt employees who suddenly become eligible for overtime pay. Be aware, this topic is one where it's easy to be "penny wise and pound foolish." Unemployment is low and the labor market is tight. If employees believe you're changing your policies to do an end-run around the intent of the updated regulations, you may save a little money but the result could be a spike in your employee turnover rate. Nearly 15 years have elapsed since the last change in the minimum pay overtime eligibility threshold level, so change is most likely coming. Even so, the DOL will probably receive some complaints from employers who don't believe the threshold should be raised as much as proposed. The agency will accept comments on the revised proposal until early May.